Located in the middle of the world’s most beautiful reef, New Caledonia is like a dreamy postcard. 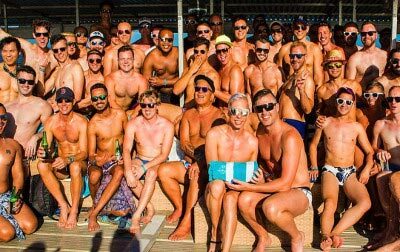 With its unmistakable French influence, the mix of spectacular island scenery and Parisian sophistication offers gay travellers the experience of a lifetime. It’s time for TropOut New Caledonia. Featuring Vitalic - one of the biggest french electro/techno artist. Swim and dance, while the DJ plays over a reef on a floating pontoon. L'Amirauté - The most stylish art deco venue hosts our classy French affair. Rich in French and Island tradition, magical reefs and natural beauty. Discover TropOut New Caledonia by scrolling through your day-by-day itinerary. Welcome to New Caledonia! Once you’ve checked in, head down to the gardens and meet your new friends. We’ll be waiting for you! With the stunning backdrop of the South Pacific at your doorstep, we’ve created an elaborate evening on the Beach in front of Chateau Royal that will have you feeling relaxed and ready to kick-start your long-weekend. Start your day with a morning yoga class on the beachfront and then a refreshing swim. Spend a day in the jewel in the crown. 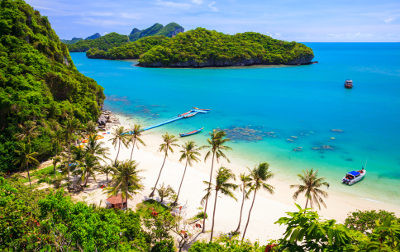 This stunning island bound by pristine white sand and crystal blue waters – perfect for snorkeling with sea turtles. Spend the morning touring local markets, followed by cooking with your fresh produce learning French culinary classics. Tonight we are joined by hundreds of people from the local community Kuendu Beach for a night of dancing and decadence. Featuring Vitalic, one of the biggest french electro/techno artist – He is also part of the gay community. A short speed boat ride takes you to Le Ponton, where you can back up your big night with an afternoon party floating over a magical coral reef. We suggest spending the day by the pool – swim-up bar at the ready. Just a short walk from the hotel and situated over the water, this unique club is the perfect setting for one final party with new friends. It’s time to say Au revoir to new and old friends – your airport transfer awaits to start your journey home. All pricing includes accommodation at the stylish Chateau Royal (excluding breakfast), access to all TropOut parties (as outlined in the Festival Schedule), transfers to all parties and morning yoga (if you’re awake for it!). TropOut can only be purchased inclusive of accommodation, so you’ll share the experience with like-minded guys all in the same amazing hotel. Located on the lower levels with courtyard views. Capacity: Suitable for up to 3 people. Enjoy a private balcony with garden views. Capacity: Suitable for up to 3 people and solo travellers. Private balcony with ocean views – perfect for the sunset. Private balcony with panoramic ocean views – the premium option. Capacity: Suitable for up to 4 people or solo travelers wanting more privacy..
Offering a balcony with garden views. Capacity: Suitable for up to 4 people and solo travelers wanting more privacy. Spacious, light-filled and balcony with sea views. Capacity: Suitable for up to 4 people. Spacious, light-filled and balcony with panoramic ocean views of the bay. 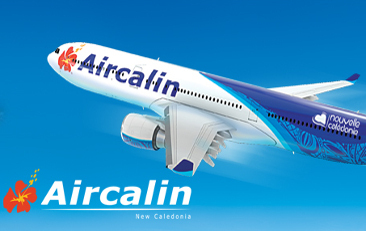 We recommend flying Air Calin as the official airline of New Caledonia. TropOut guests will receive a $50 discount off standard fares (excluding sale fares). The deal is valid for travel between 01-16 December to Noumea. Simply enter the code TROPOUT in the promotional code section when making your booking. Tucked at the edge of a white sandy beach, and overlooking the pristine water of the famous lagoon of New Caledonia, is Château Royal Beach Resort & Spa. Accommodations at Chateau Royal comprise 108 spacious one and two bedroom suites. Each suite contains a fully equipped kitchen, ensuite bathrooms, separated living room and a private balcony. The award-winning resort offers guests 3 dining options, including flagship Le Taom – a unique restaurant that fuses classical French and local Melanesian flavours. To complement the resort’s restaurants has 3 bars and 3 bars including a Pool bar in the spectacular pool and a terrace bar overlooking the lagoon. The resort offers the perfect location to enjoy cocktails for sunsets. Apart from its direct beach access, guests at Chateau Royal can enjoy the well-equipped fitness centre and the exclusive Aqua Royal Spa. Discover a unique French concept with a 300 sqm Aquatonic® Pool, giving you access to sauna & hammam. With a sophisticated ambiance, chic style and idyllic setting, Chateau Royal is a home you’ll never want to leave. How do I get to New Caledonia? New Caledonia is served mainly by its national carrier – Air Calin. They also co-share with Qantas and Air New Zealand, operating from Sydney, Melbourne, Brisbane and Auckland. How far is Chateau Royal from the airport? Approximately 45 minutes. If you have purchased transfers through us, are team will be on hand to greet you at the airport and to guide you to your transfer to the hotel. What if I want to spend longer than 5 nights in New Caledonia? How far is the beach from Chateau Royal? The resort is situated on the beachfront and has private access to the beach. What’s the New Caledonia nightlife like? 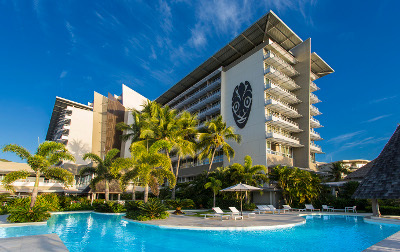 We are located in the heart of Noumea and central to all activity. The island life can be a bit slow, but we are walking distance to local bars and restaurants. TropOut is designed for travellers from across the world, so expect to make friends from a diverse range of countries and backgrounds. TropOut has had guests from over 25 different countries. 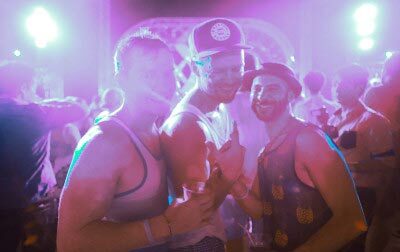 An exciting mix will attend TropOut- mostly gay males, a small number lesbians and some straight friends will all be in attendance for the same reasons: to Unwind, Dance, Discover & Belong with in a very fun & unique atmosphere. However, based on location we expect the main guests to be from Australia and New Zealand. Yes, TropOut offers a solo traveller option that allows you to share a room with another solo traveller. We pair people based on age and any other requirements (no smoker etc). It’s a popular option and a great way to make a new friend! Can’t make New Caledonia? Check out our other festivals!